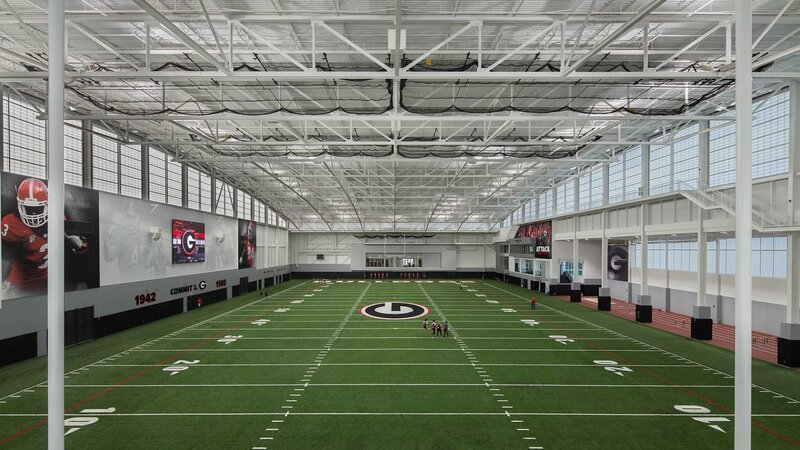 Home to some of the most prestigious college athletic programs in the nation, the University of Georgia engaged Collins Cooper Carusi Architects of Atlanta and RATIO Architects of Indianapolis to design a new Indoor Athletic Facility that provides environments for recruiting and developing world-class student-athletes. 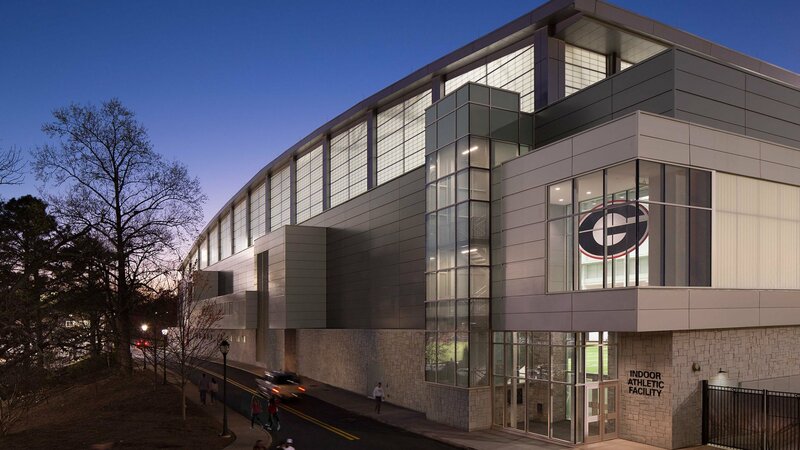 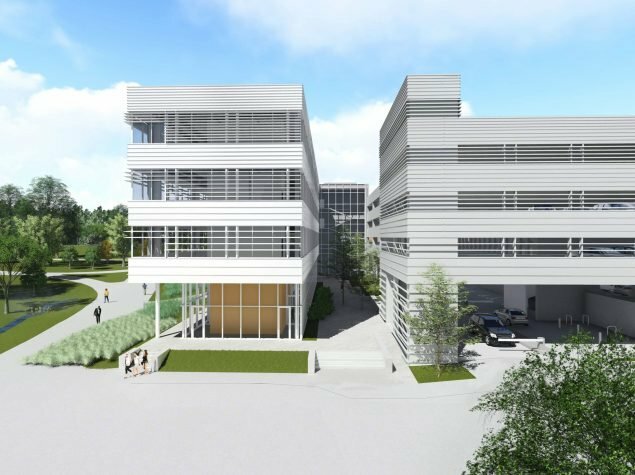 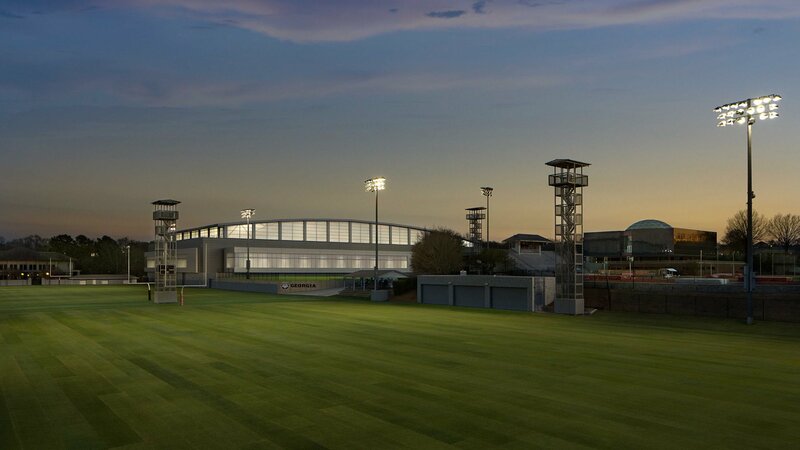 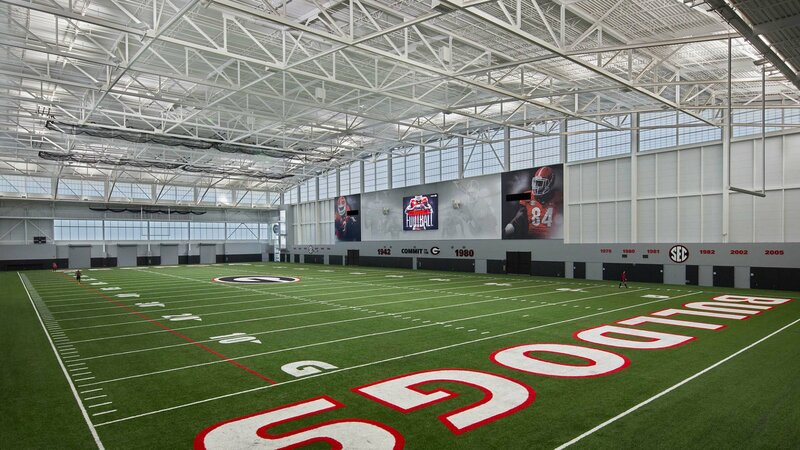 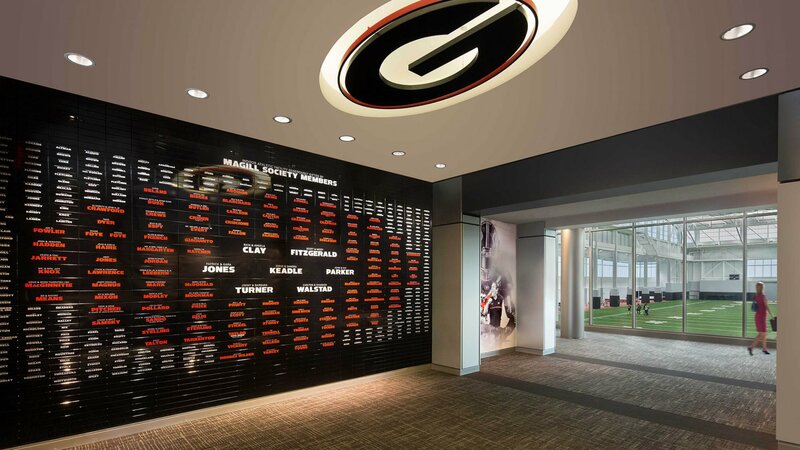 The facility opens many new doors for the 600 current and many more future UGA student-athletes, providing first-class work-out environments for the overall athletic programs. 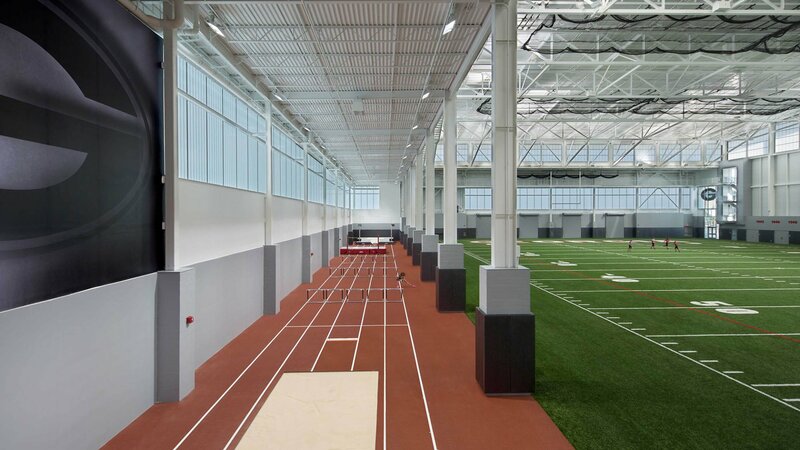 Sized to accommodate a 120-yard football field with the required safety areas, the state-of-the-art facility includes track and field training areas with sprint lanes, pole vault pit and long jump pits. 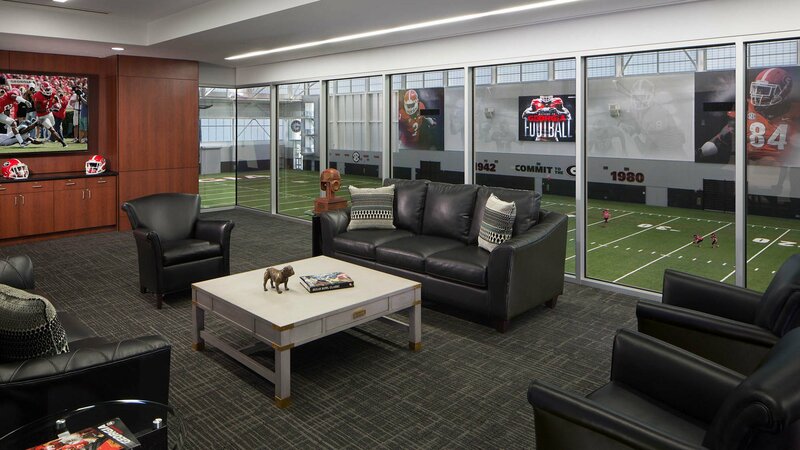 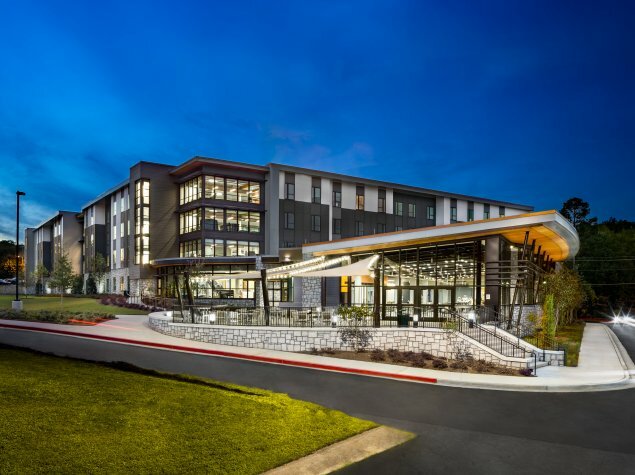 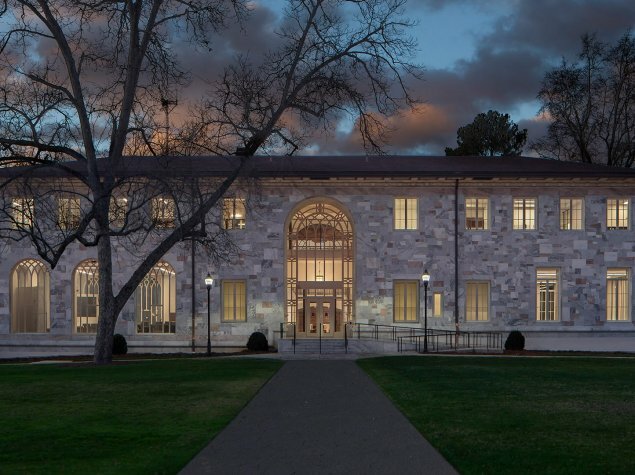 Noteworthy: The design features a translucent wall panel system that bathes the interior with filtered daylight, as well as an LED lighting system to supplement the natural daylight with 75 feet of illumination over the field.